Home to world-famous architecture, a glorious harbour lined with gourmet restaurants and botanical gardens to boot, the vibrant city of Sydney has a lot to offer. Whether you’re backpacking around the country, on a once-in-a-lifetime family vacation or enjoying a romantic break, Sydney’s many attractions will delight the worldliest traveller. 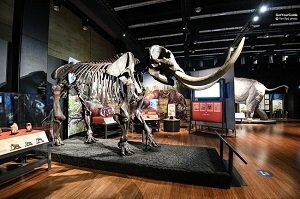 From day trips out to the UNESCO World Heritage Blue Mountains to uncovering Australia’s heritage and history at local museums, there’s always something exciting to do. When it comes to getting around Sydney, it couldn’t be more simple thanks to the efficient public transport system and hop-on-hop-off buses. Making your way from one attraction to the next has never been easier, and once you’re ready to venture out of the city limits, there’s plenty of coach tours, and boat rides to transport you to the surrounding countryside. To save you time we’ve price-compared tours in Sydney and have compiled a list of our favourite trips in and around the city, complete with our top tips, customer reviews, and instructions on how to get there. 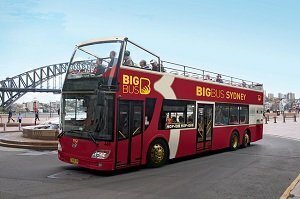 he explorer bus ticket allows you unlimited rides on Sydney's double decker hop-on hop-off busses. It's one of the cities most popular modes of transport for tourists. The bus follows two main routes, the Sydney route and the Bondi Route. Explore the best of Sydney's attractions from a hop-on hop-off double-decker bus. Transfer seamlessly around the city by jumping on and off-board at any of the 33 stops around the city. Listen to audio commentary as you ride and learn the history of Sydney's attractions. Onboard audio guide in multiple languages (English, German, Spanish, French, japanese, Korean. Chinese) . Bus ticket valid at 33 stops. The Sydney and Bondi Hop-On Hop-Off Explorer Bus has earned over 1,118 reviews and a 3.5-star rating on TripAdvisor. Some users noted that the bus stops aren't always clear to find but the ticket was "great value for money". Great for those looking to pack lots of sights into one day. Perfect for first time visitors to the city. Great way to visit the beach. 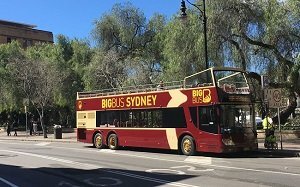 The 2 day explorer bus ticket allows you unlimited rides on Sydney's double decker hop-on hop-off busses. This combination ticket also includes a 60-minute harbour cruise and access to Sydney's Tower Eye and observation deck which boasts 360 views over the city. Ride around Sydney on a double-decker open top bus. Hop-on and hop-off at any of the 33 stops around town. Take a 60 minute cruise around Sydney Harbour to see the Opera House and Sydney Harbour Bridge from a different perspective. 60 minute cruise around Sydney Harbour. The 2 Day Hop-On Hop-Off Bus Pass with Cruise and Sydney Tower Entry has earned over 115 reviews and a 4-star rating on TripAdvisor. Travellers agree that the exploring by bus is both exciting and entertaining. Most users noted that the harbour cruise was a great end to a fantastic day of sightseeing. Great for those with two days spare for sightseeing. Great way to explore at your own leisure. Sydney Sea Life Aquarium is one of the largest aquariums in the world. It's home to over 12,000 animals and 650 different species from an array of habitats. The aquarium is located in Sydney's Darling Harbour neighborhood, right in the city centre. Spend the morning exploring the aquariums different habitats and exhibits. Walk through glass tunnels under the water, surrounded by sharks, stingrays and tropical fish! Head to the Southern Ocean display to visit the penguins. Café food and beverages not included. 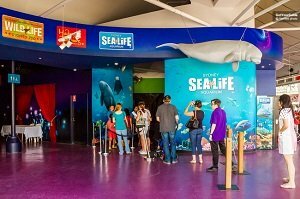 Sydney Sea Life Aquarium has earned over 115 reviews and a 4-star rating on TripAdvisor. Travellers agree that the aquarium features great exhibits. Most users noted that the aquarium also provided a fascinating underwater experience. Great for families with small children. Interactive learners will delight at the displays. This full day, group tour, takes you around some of the Hunter Valley's finest wineries before enjoying lunch at a local restaurant. The Hunter Valley is a beautiful wine making region located in the Hunter Region just 3 hours north of Sydney by car. The Hunter Valley is the the oldest wine producing district (grape growing here dates back to the 1800's) in the country and is frequented by many tourists annually. Depart Sydney early in the morning and take the 3 hour drive north to the Hunter Region. Wine taste your way through the day, sipping on 20 different wines including Shiraz, Chardonnay, Pinot Noirs and Cabernet Sauvignon. Visit both well known cellars and off-the-beaten track family-owned vineyards. Round transport from Sydney city centre to the Hunter Valley. Group wine tasting at multiple vineyards. The Hunter Valley Wine Tour with Lunch has earned over 753 reviews and a 4.5-star rating on TripAdvisor. 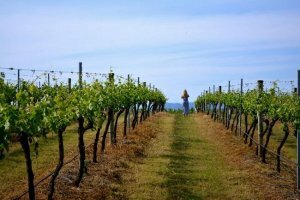 Travellers agree that tour offered a great choice of wineries. Most users noted that the tour also provided both a relaxing and exciting day out. Makes for a great girls day out. Perfect for a romantic adventure. An hour long guided walking tour around the Sydney Opera House with a knowledgeable and interactive guide. The tour offers a great way to learn about the buildings rich history and the story behind the buildings design. The Sydney Opera House is a listed UNESCO World Heritage Site and a building synonymous with Sydney. Head inside the Opera House and along the 300 corridors that intertwine inside. Visit the theatres and explore the performance stages where around 1,5000 concerts are perfomed annually. Follow your friendly guide, learning about the buildings construction as you go. Access inside the theatre and around the back passages. Guided tour in multiple languages (English, German, Spanish and French). 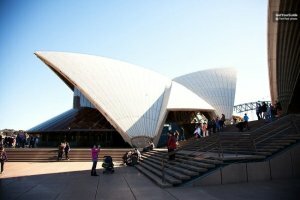 The Sydney Opera House Tour has earned over 777 reviews and a 5-star rating on TripAdvisor. Travellers agree that this tour offers a brilliant insight into the buildings history. Most users claimed the tour was "fantastic, informative and amazing". Perfect for those with an eye for design. Historians and culture vultures will delight. 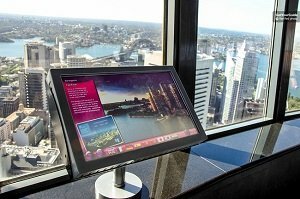 Lunch or Dinner at the top of the Sydney Tower in the rotating 360 restaurant. The restaurant sits at 309 metres above ground and rotates a full 360 degrees, rotating at 70 minutes per revolution. Menu highlights include braised lamb, angus beef brisket, red Thai curry, barbecue pork belly, oregano pesto spaghetti and seafood salads. Head inside the Sydney Tower and ride the elevator right to the top. Head inside the 360 Restaurant where you'll be shown to your table. Enjoy dining on gourmet, Australian, cuisine from the à la carte menu while taking in the panoramic city views. A two or three course gourmet meal. Enterance to the Sydney Tower. Lunch or dinner from the à la carte menu. 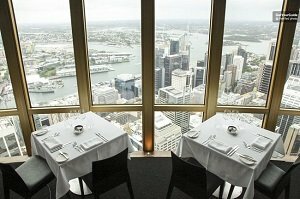 The Sydney Tower 360 Dining Experience has earned over 795 reviews and a 4-star rating on TripAdvisor. Travellers agree that this tour offers a wonderful experience matched with fantastic city views. Most users claimed the food was delicious and highly recommended. Great for lovers of fine dinning. The perfect place for an evening of classy cocktails. An ideal way to end your time in the city. The Sydnet Tower Eye and Observation Deck has earned over 3345 reviews and a 4-star rating on TripAdvisor. The Sydney Combo Pass allows you to visit three attractions around the city from the following list: Sydney Aquarium, Wild Life Sydney, Sydney Eye Tower and Madame Tussauds. There's also the option to buy a 1, 2 or 4 attraction pass. The pass is valid for one month, so there's no need to rush your way around the attractions, you can take it slow! Simply pick the three attractions in the city that you'd like to visit while in town. Choose from the Sydney Eye Tower, Madame Tussauds, Wild Life Sydney and Sydney Aquarium. Visit all three attractions over your time in the city, there's no rush as the pass is valid for a month! Enterance tickets to your three chosen attractions. 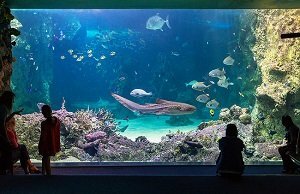 The Combo Ticket: Aquarium, Madame Tussauds and Wild Life Sydney Pass has been reviewed by 36 users on Get Your Guide and has been ranked 4.4/ 5 stars. Users noted that the pass was "good value, easy access" and offered access to a "nice selection of activities". Perfect for those wanting to visit more than one attraction in the city. Great for families looking to fill up their days. Paticularly great for young children. 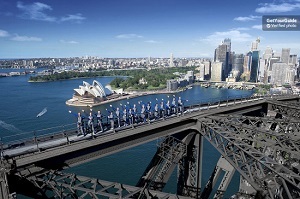 An evening of musical entertainment with a performance at the Sydney Opera House. Listen to the world's most renowned operas from international composers including Puccini, Bizet and Verdi. Performances last 2.5 hours and include an interview to grab a drink at the bar. Get dressed up to the nines and head inside the Sydnery Opera House for an evening of pure entertainment. 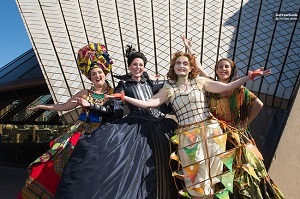 Enjoy an Opera performance in one of the cities most architecturally impressive buildings. Listen to some of the best operas from around the world with music from internationally renowned composers including Verdi, Mozart and Puccini. An evening of live entertainment. The Sydney Opera House Performance has earned over 18,544 reviews and a 4.5-star rating on TripAdvisor. Travellers agree that this activity offered a wonderful experience and a show at the Opera is a must see thing. Most users claimed the acoustics were perfect and the evening was memorable. Great for classical music loveres. Perfect for a romantic evening out. 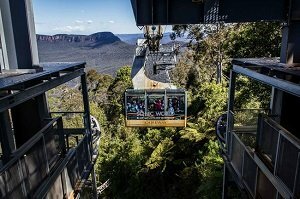 A 10 hour full day tour of the Blue Mountains National Park with a pass for Scenic World and entrance to three of the rides. Scenic World is home to one of the worlds steepest railway lines and commands spectacular views out over the mountains. The tour also includes a visit to Echo Point, a renowned lookout point that attracts over 1.5 million visitors each year. Leave the city early and drive out over the Sydney Harboru Bridge, en route to the Blue Mountains National Park, a place of outstanding beauty. Arrive around 9am and kick start the day with a visit to Featherdale Wildlife Park where you can get up close and personal with the animals including kangaroo feeds and koala cuddles. 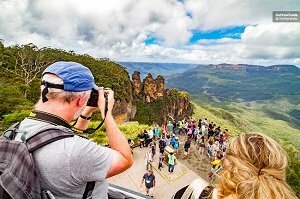 Next the tour stops at the famous Echo Point lookout where you will enjoy views out over the Jamison Valley and the Three Sister rock formation. Admission to three rides at Scenic World (Skyway, Railway and Cableway). Admission to Featherdale Wildlife Park. River cruise back to Sydney. 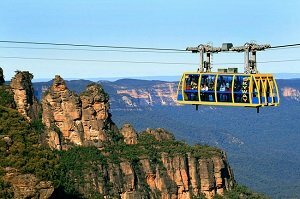 The Grand Blue Mountains Day Tour with 3 Scenic World Rides has earned over 1001 reviews and a 5-star rating on TripAdvisor. Travellers agree that this activity offered a wonderful, fun-filled, day exploring the Blue Mountains. Most users noted that the day is long and exhausting but the guides are both professional and knowledgable. A day trip to the Blue Mountains to explore the Jenolan Caves and the surrounding areas of natural beauty. The Jenolan Cave system spans over 40km and is home to nine caves in total, all open to the public. The day will be spent hopping through the cave system gawping at the impressive geological features and formations. Enjoy a day long excursion from Sydney into the Blue Mountains, calling at Jenolan Caves and exploring the natural wilderness. Admire the beautiful landscape found at this UNESCO World Heritage Site. Visit the famous ‘Three Sisters' Rock Formation in Jamison Valley. Enterance to the Jenolan Caves. Guided tour of Lucas Cave. The Blue Mountains and Jenolan Caves Full-Day Trip from Sydney has earned over 1,581 reviews and a 4.5-star rating on TripAdvisor. Travellers agree that this day excursion was well organised and provided a fantastic day out of the city. Most users claimed the guides and drivers were proffesional, friendly and knowledgable. 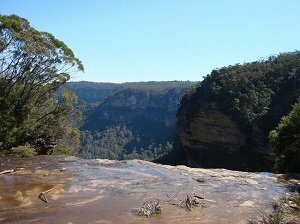 A full day of outdoor adventures in the beautiful Blue Mountains National Park, a protected area and listed UNESCO World Heritage Site. The park sits just under a two hours drive north-west of Sydney and is a popular tourist spot. People travel far and wide to visit this stunning National Park. The tour begins with hotel pickup, here you'll board the transfer coach and be whisked away to the Blue Mountains National Park. The day will be spent exploring the park's natural wonders and enjoying the epic mountain vistas. Jamison Valley, the Three Sisters rock formation and Katoomba Falls are all on the itinerary. nterance to Featherdale Wildlife Park. The Blue Mountains All Inclusive: Tour, Lunch and Water Taxi has earned over 1,304 reviews and a 4-star rating on TripAdvisor. Travellers agree that this day excursion was family friendly and a provided a great day out. Most users claimed the guides were super friendly and knowledgable and that the scenery was breathtaking. Animal and nature enthusiasts will delight. Suitable for history and culture vultures. The easiest way to enjoy all that the Blue Mountains National Park has to offer without missing a beat. This all inclusive package covers everything from cultural visits to scenic railway rides. It's one of the most popular packages thanks to its vast coverage of activities, knowledgeable and friendly guides and all inclusive nature. Board the coach and head over the Sydney Harbour Bridge, heading north west to the Blue Mountains National Park. On this all-inclusive tour you'll enjoy all that the park has to offer including visits to the Featherdale Wildlife Park, the Aboriginal Centre and Scenic World. Head to Jamison Valley to enjoy panoramic views of the park and take a look at the Three Sisters rock formation. 2 course lunch and river cruise. Pass for Cableway, Skyway and Scenic Railway. The All-Inclusive Full-Day Blue Mountains Tour from Sydney has earned over 702 reviews and a 5-star rating on TripAdvisor. Travellers agree that this day excursion was the perfect way to explore the Blue Mountains National Park. Most users claimed the knowledgable guides provided a thrilling day out amongst beautiufl nature.